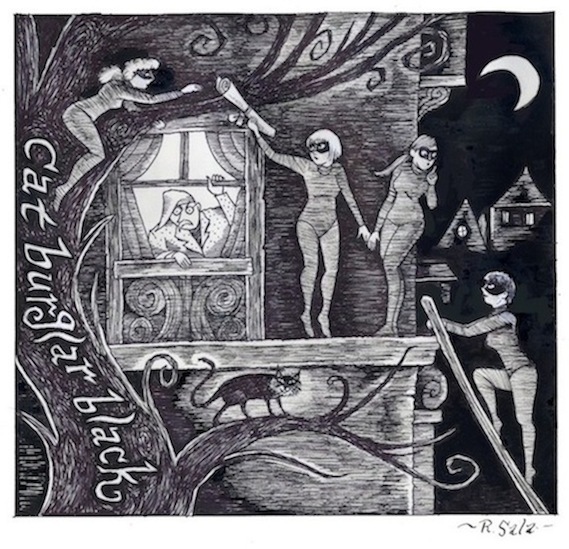 12" x 12" ink drawing of the characters from the book Cat Burglar Black. I did this art when the book was still new, and was thinking of ways to promote it. This was going to be a promotional piece for the book, but I never used it. I I just came across it in my CBB files. It's a bit rough in some places, drawing-wise and there are touches of white-out on the girls to fix their faces mostly.